Matthew has been practicing physical therapy for over twelve years. He is a Board Certified Clinical Specialist in orthopedic physical therapy, as well as a Certified Strength and Conditioning Specialist. These are advanced certifications that are only attained after years in practice and study. He has vast experience and training in the diagnosis and treatment of musculo-skeletal injuries. Matthew takes pride in his solution based approach to patient care. The combination of his advanced manual therapy skills and ability to teach his patients so they may take an active role in their recovery, provides exceptional results. In addition to the numerous continuing educational programs that Matthew has participated in and lectured for, he has also served as an Adjunct Professor at the University of Medicine and Dentistry of New Jersey’s Physical Therapy Program. As a leader for the physical therapy profession, Matthew also served as a District Vice Chair for the American Physical Therapy Association of New Jersey. He is also a member of the American Academy of Orthopedic Manual Therapists. Paul received his clinical Doctorate in Physical Therapy from Mercy College in Dobbs Ferry, New York. He also holds a Bachelor’s Degree in Exercise Science from Rutgers University. He has worked in various medical settings, from acute care hospital pediatrics to out-patient adult orthopedics for over 20 years in the physical therapy field. Paul is a Certified Golf Fitness Instructor and Level 3 Golf Medical Professional from the Titleist Performance Institute. He has extensive experience in the evaluation and treatment of musculoskeletal, neuromuscular, orthopedic and vestibular diagnoses. He is also a member of the American Physical Therapy Association. He prides himself in clinical problem solving and applying evidence-based rehabilitation interventions, while educating and involving his patients in a proactive therapeutic program. He strives to empower his patients to return to pain-free function, as well as sports and recreational activities. In his free time he enjoys golf, yoga, Pilates, and trying out new ways to exercise and keep moving. with a minor in German. Michelle has been practicing physical therapy since 2007. Michelle is an Orthopedic Clinical Specialist and a Certified Myofascial Trigger Point Therapist. She uses a goal oriented, problem solving approach to helping clients achieve their maximum functional capabilities. In addition to clinical care, Michelle is also an adjunct faculty member at Rutgers University Department of Physical Therapy. 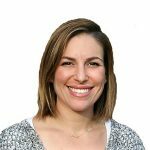 Miriam earned her Doctorate degree in Physical Therapy from Arcadia University in Glenside, Pennsylvania in 2009 and prior to that was a Nutritional Sciences major for her undergraduate studies at Rutgers University. Since graduating, Miriam has worked primarily with orthopedic and sports related injuries and became certified in kinesiotaping in March 2011. Miriam has also developed a special interest in pediatric orthopedics, sports rehabilitation and neuropathic pain disorders (CRPS, AMPS, etc) in an adolescent population. Miriam’s approach to treatment includes a heavy emphasis on manual therapy, including soft tissue and joint mobilization, PNF techniques and therapeutic exercises. Her continuing education focuses on courses specific to manual therapy in an orthopedic setting. Miriam’s hobbies include spending time with her husband and two young children and living an active lifestyle. Olivia went to Carroll College in Helena, Montana, where she graduated with a BA in psychology. She has worked in outpatient orthopedic settings since 2003, when she graduated from the University of Puget Sound with her Doctorate degree in Physical Therapy. She became an Orthopedic Clinical Specialist in 2014 and is a member of the American Physical Therapy Association. Olivia enjoys working with a variety of people of different ages and abilities to assist them in getting back to the things they love to do. She has a strong manual therapy background and she believes in empowering her patients to understand their bodies, find out how they can heal and move; and educate them on what they need to do to become active again. Outside of work, Olivia likes to hike, be outdoors, teach and participate in Pilates, and spend time with her husband and son. Jay prides himself on utilizing a patient-centered approach to focus on achieving goals that are specific and realistic for individual patient’s needs. He brings a particular emphasis of a hands-on approach to patient care. He particularly enjoys working with athletes across the age-span. From recreational to high-level athletics, he enjoys making their goals a reality. He has worked with patients in both outpatient and inpatient settings including post-operative, vestibular, and neurological. Jay received his Clinical Doctorate in Physical Therapy from Seton Hall University where he was admitted to the Alpha Eta Society for academic achievement in the studies of allied health. He also holds a Bachelor of Science in the field of Health Sciences from Gettysburg College. He is an active member of the American Physical Therapy Association, attending district meetings when able. Jay’s hobbies include golfing, playing pick-up basketball games, throwing the football or baseball, and going to sporting events (particularly the NY Giants and Yankees). Jay enjoys working out, spending time with his family, and constantly being on the move.